The famous Chief Justice turns 120 this week and the Law Library is having a party in his honor! Come by on Monday at 2:30 p.m. and help us celebrate his full and exciting life. 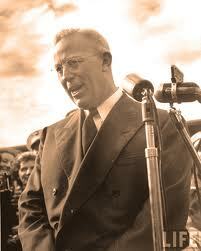 Earl Warren said: “Everything I did in my life that was worthwhile I caught hell for.” It seems he was right. Who said: “[He’s] the biggest damned-fool mistake I ever made.”? Read on to find out …. March 19, 1891: born in Los Angeles, California, the son of Scandinavian immigrants. He grew up in Bakersfield, working summers for the Southern Pacific Railroad where his father was a longtime employee. He later said that his political and legal attitudes were the result of seeing first-hand the lives and struggles of working people. 1912: Received his undergraduate from the University of California, Berkeley. 1914: Received his LL.B. degree from Boalt Hall and joined the California bar. He was nowhere near the top of his class and did not make Law Review or win any honors. 1914-17: Worked a year for Associated Oil Company and then joined Robinson & Robinson, an Oakland law firm. 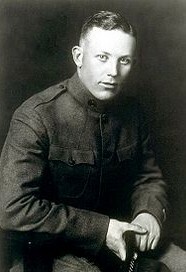 1917: During World War I, Warren enlisted in the U.S. Army as a private, later rising to the rank of first lieutenant. He never served overseas. Rather, since he had become a bayonet expert, he was assigned to teach at the Central Infantry Officers’ Training School at Camp MacArthur in Waco, Texas. 1919 to 1920: Served as Oakland’s deputy attorney. 1920-25: Served as Alameda County deputy district attorney from 1920 to 1923 and chief deputy district attorney from 1923 to 1925. October 14, 1925: Married Nina Palmquist Meyers at the First Baptist Church in Oakland. 1925: Appointed Alameda County district attorney, at a salary of $7,000 a year. Known for cracking down on bootleggers, oil stock swindlers, embezzlers, racketeers, and building and loan sharks, his conviction rate was 86%! Although he had a reputation for high-handedness, none of his convictions were overturned on appeal. A 1931 survey voted listed him as the best district attorney in the country and, by the late 1930s, he was a powerful force in Republican Party politics. May 14, 1938: Warren’s 73-year-old father was robbed and murdered by an unknown assailant. I have since deeply regretted the removal order and my own testimony advocating it, because it was not in keeping with our American concept of freedom and the rights of citizens. Whenever I thought of the innocent little children who were torn from home, school friends and congenial surroundings, I was conscience-stricken. 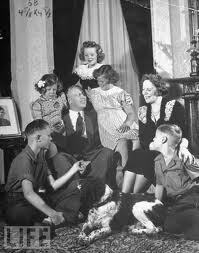 November 3, 1942: Elected the 30th Governor of California; re-elected in 1946 and 1951. In 1951, he defeated Democrat James Roosevelt, FDR’s son. As Governor, Warren worked for social reform. He desegregated the California National Guard, developed the State Department of Mental Hygiene, and led reforms of the prison system in California by establishing the Board of Corrections under the Prisoner Rehabilitation Act. He also unsuccessfully urged passage of a comprehensive prepaid medical and hospital care program for all California workers and their families, the first in the nation, paid for with a 3% payroll tax. 1948: Unsuccessful Republican candidate for vice president under Thomas E. Dewey. 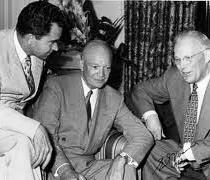 1952: Lost the Republican presidential nomination to Dwight D. Eisenhower. [A] lot of people are of the opinion that the Supreme Court just reached out and grabbed onto those issues and decided them in opposition to Congress … [b]ut, really, all the court was doing was filling a vacuum because Congress had not acted. 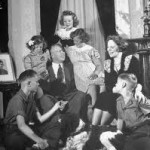 Earl Warren oral history interview. 1961: Mapp v. Ohio, 367 U.S. 643. Warren was part of the majority that held that the Fourth Amendment applied to the states through the Fourteenth Amendment and, therefore, evidence obtained through an unlawful search or seizure may not be used against the defendant at trial. 1962: Engel v. Vitale, 370 U.S. 421. He again voted with the majority to prohibit mandatory school prayer. 1963: Gideon v. Wainwright, 372 U.S. 335. The Warren Court ruled that the Sixth Amendment right to legal counsel applied to state criminal proceeding through the Fourteenth Amendment and, therefore, indigent defendants must be provided an attorney at no cost. January 20, 1969: Warren had already administered the presidential oath of office to Eisenhower (1957), Kennedy (1961), and Johnson (1965). Now he was to swear in his lifelong political enemy, Richard Nixon. 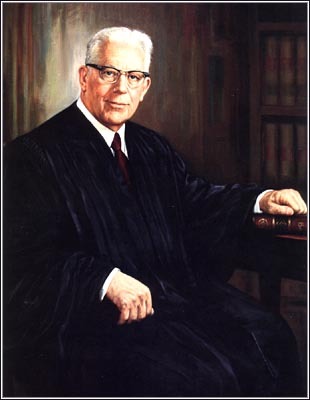 June 23, 1969: Resigned from the Supreme Court. 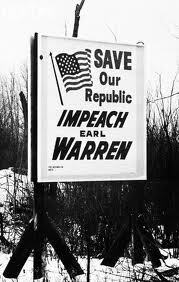 Warren originally chose to retire while LBJ was still President in order to prevent Nixon from appointing his successor. However, the Senate refused to confirm the nominee, Abe Fortas, and Warren remained on the Court through the October 1968 term. 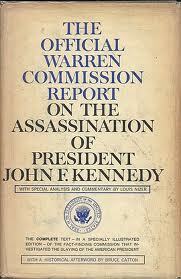 Nixon named Warren E. Burger to succeed him. July 19, 1974: died in Washington D.C. at the age of 83, and buried at the Arlington National Cemetery. 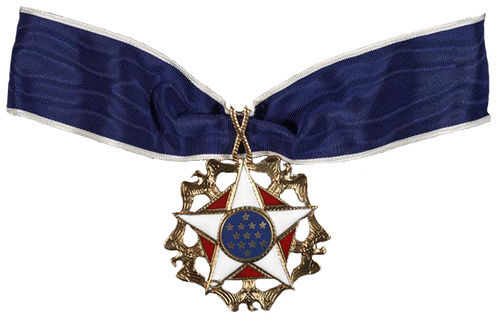 1981: Awarded the Presidential Medal of Freedom.